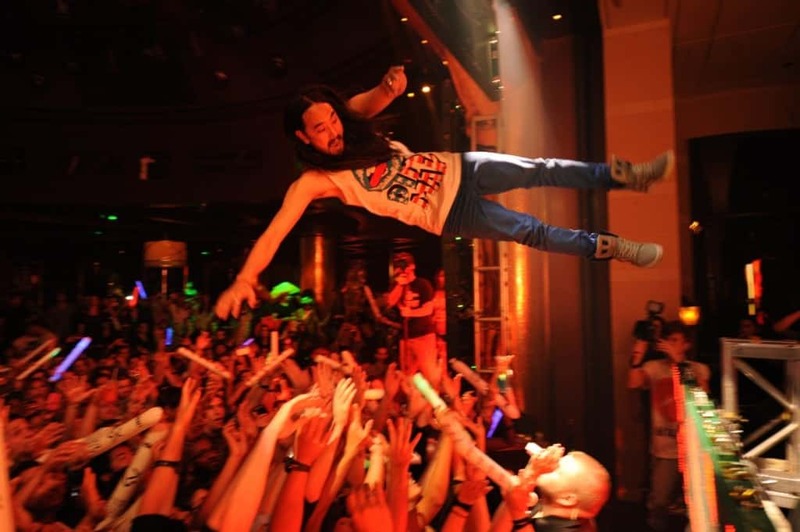 Steve Aoki is known to throw quite the party whether it involves white raver rafting, stage diving or even cake throwing. Unfortunately not everything goes to plan as Steve Aoki somehow kicks over the DJ booth when flying into the crowd. Oops.